Bangkok, Thailand (25 May 2018) – AKARYN Hotel Group, the Thailand-based boutique luxury hospitality brand, is extending its signature accommodation and experience offer at Aleenta Hua Hin and Aleenta Phuket with the introduction of a new, inspiring collection of holistic wellness retreat programs. Harmonizing the mind, body and soul, each retreat blends traditional and contemporary practices, integrating elements of yoga, Ayurveda, life coaching and Thai healing therapies with healthy vegetarian dishes and comfortable stay in luxury accommodations to restore balance and vital energies. Starting in June 2018, five different programmes will be offered for a small group of 4 to 8 guests. Each retreat is tailored based on a personal consultation with one of the group’s international health and wellness experts – Leila El Krekshi, Group Wellness and Retreats Manager and Kanchalika Meesuk, Group Spa and Wellness Manager. Leila El Krekshi completed her teacher training in Classical Yoga at Wiseliving Yoga Academy in Thailand, which is affiliated to the World’s Oldest Organized Yoga Institution. Leila offers extensive experience designing and leading retreats in Europe and Africa that integrate multiple therapies, yoga practice, lifestyle coaching, creative movement, capoeira and meditation. Her focus on “prana” vital energy and the integration of breath and movement helps to achieve conscious practice, inner peace and stress relief. She also has experience working with clients with stress, drug addiction, anxiety, and depression. She speaks fluent English, French, Arabic, Spanish, Finnish, and some Brazilian Portuguese. Kanchalika Meesuk is a holistic doctor with an Alternative Medicine License and over 18 years of experience in the spa, wellness and hospitality industry. She specializes in traditional Thai medicine and oriental healing massage therapies, as well as the 4 elements and chakra balancing. Kanchalika uses herbs and diet to promote health, combined with bodywork including bone setting, Thai massage, Thai acupressure, and passive stretching. She focuses on the pathways of movement in the body, such as tendons, ligaments, nerves and circulatory vessels. She will provide holistic healing therapy during the retreats and will also join Leila to offer personal consultations. The very first retreat, set 22 – 24 June at Aleenta Hua Hin, is a 3-day Pause and Restore programme aimed at those desiring to disconnect and unwind from the stresses of everyday life while restoring energy levels and inner-balance all during a convenient weekend getaway. This retreat is perfectly suited for non-practicers and could be seen as a convenient escape in a calming environment along the golden sand stretch of Pak Nampran Bay, combining well-balanced food and outdoor excursions. Various yogic practices are used, including breath-centric yoga, meditation, yogic detox along with healing treatments. No previous yoga experience is necessary. Additional retreats are scheduled in Hua Hin on 2-4 November 2018 and in Phuket in 7-9 December 2018 (the net price of the retreat excluding accommodation is THB 18,440). “Founded on a philosophy of pure balance, including natural rhythms, harmony with one’s surroundings, a balanced lifestyle, and a blend of tradition and modernity, Aleenta has always been more than simply a boutique spa resort,” says AKARYN Hotel Group’s Founder and Managing Director, Anchalika Kijkanakorn. “The new holistic wellness retreats at Aleenta Phuket and Aleenta Hua Hin further bring this guiding philosophy to life, fusing an incredible property and stay with immersive experiences, deep healing and expert therapists,” she adds. 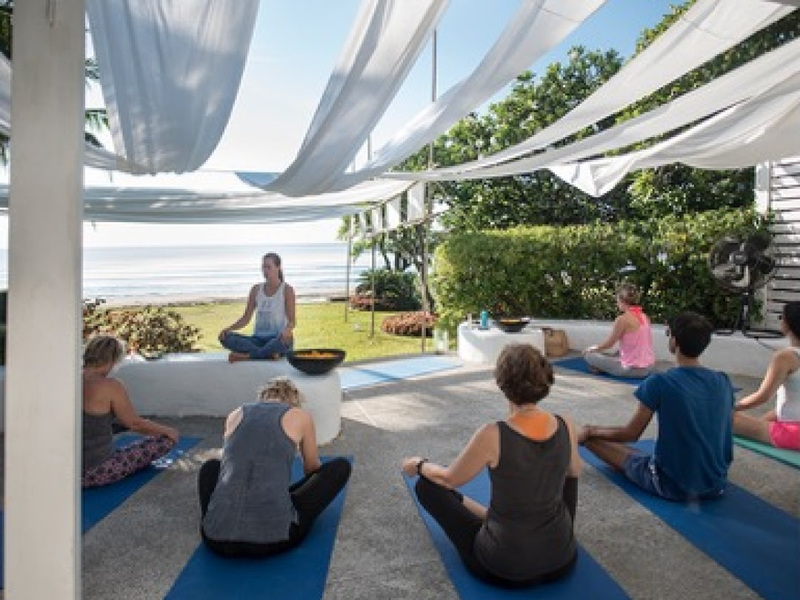 The 6-day Breathe Vitality Retreat at Aleenta Phuket will run the comprehensive programme designed to guide guests into a deep, restorative healing process dealing with the root causes of stress and burnout while unlocking the keys to joy, health and energy. Nature and the elements play an important role to help the healing and balancing process, together with Thai holistic medicine, soul coaching and traditional Hatha yoga. Dates: 12-17 July 2018, 9 – 14 October 2018, 14 -20 November 2018 and 26 January – 6 February 2019. The 5-day Mind Body and Soul: Stress and Burnout Prevention Retreat offers a soothing programme combining yoga, meditation, yogic detox, breathing techniques, massage and vegetarian Thai-fusion cuisine within beautiful natural beachside resorts. Dates: 29 August – 2 September (Phuket), 22 – 26 September 2018 (Hua Hin), 24 – 28 October 2018 (Hua Hin) and 20 – 24 February 2019 (Hua Hin). The 7-day Turn the Page: Life Enhancement Retreat guides participants towards a more sustainable sense of peace, personal purpose and inner power. The personalized retreat is designed to help guests break free from poor habits or negative cycles to find meaning and reconnect with their inner self. Stephanie Mason, counselor therapist from UK will lead daily private and group life coaching sessions, Leila El Krekshi will support yoga and meditation sessions and the Wellness professional team will take care of healing therapy treatments. Dates: 10-16 September 2018 (Phuket) and 14-20 January 2019 (Hua Hin). 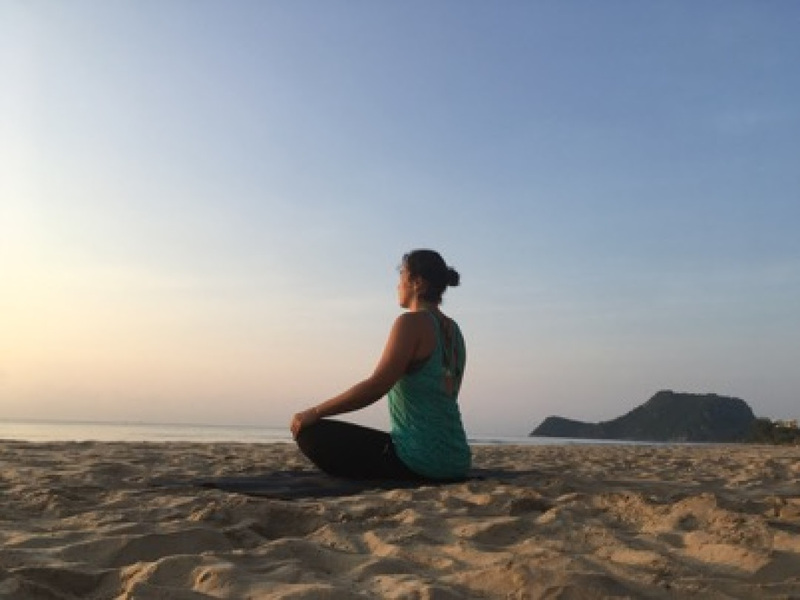 The 7-day Aleenta Yogic Detox will take place in Aleenta Phuket between 29 March and 3 April 2019. Exclusively designed on the principles of Hatha yoga and Thai holistic medicine, this retreat focuses on purifying body and mind in a natural and effective way. It starts with a personal consultation to understand each individual’s unique mind body type, known as “doshas”, then offers traditional yogic techniques to help flush out toxins from the esophagus, stomach and sinuses. Elements of asana (yoga postures), pranayama (breathing techniques), meditation and healthy vegetarian diet are complementing the detox techniques to balance the physical and spiritual elements. In addition to these new small group retreats, tailored-made wellness experiences can also be booked at the two Aleenta beach resorts. The Total Purifying experience is a 3-day, 5-day or 7-day wellness retreat which includes personal consultation, oxygen therapy, private yoga sessions, full board with healthy dishes along with around 5 hours of spa treatments. While, The Mind and Balance is a 3- to 4-day programme focused on helping to reduce stress and anxiety, relax muscle tension and relieve various illnesses through holistic yoga and meditation, including yoga, meditation, a healing massage therapy (50 mins), along with balanced healthy food provided on full board basis. For more information on the wellness retreats at Aleenta Phuket and Aleenta Hua Hin, or to make a booking, please visit www.aleenta.com/retreats.